So, where can we get this image ? Grab the latest build and run it via QEMU. 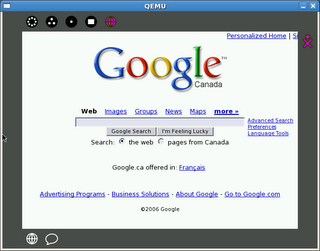 To get screenshot, highlight QEMU windows and press both ALT+PRTSCR. Which image do I choose. I keep on getting the console not the UI.